This elegant purse mirror shouldn't be hidden from view. Each black compact has a stunning, sophisticated damask design. 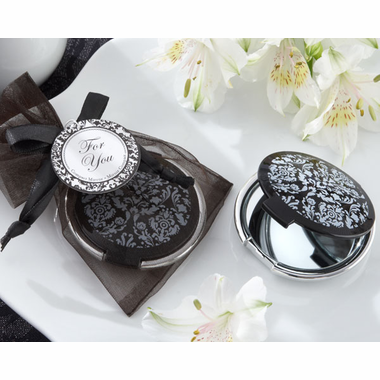 Wherever girls are gathered in celebration, this incomparable compact mirror wedding favor is the ideal party favor! 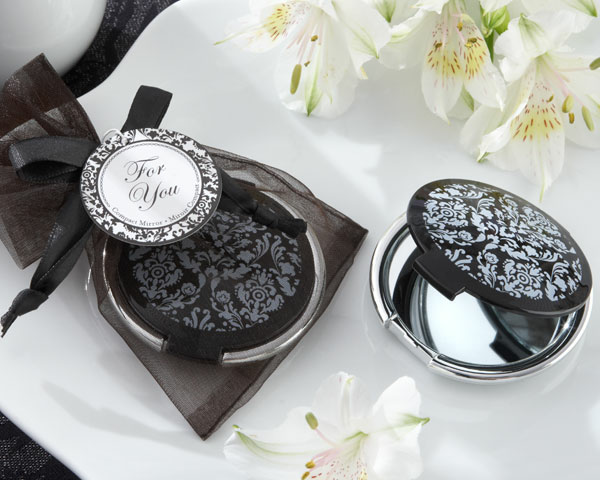 Round, reinforced plastic compact with silver-finish base and exquisite black-and-white damask design on cover - contains one standard mirror and one magnifying mirror. The compact measures 2 ï¿½ " in diameter and comes in a black organza bag with black-satin drawstring and coordinating "For You" tag.